On January 22, a deal was struck to end the three-day long government shutdown. After a halt was imposed on federal spending, a short-term bill was passed with an 81-18 vote by the U.S. Senate, followed by another favorable 166-150 vote in the House of Representatives, thus granting the government funding for the next 17 days. With the government on track to reopen, negotiations for a global agreement continue. The shutdown was seen as a blow to the Trump Administration, and took place exactly one year after the inauguration of the U.S. President. On January 19, the U.S. Congress failed to pass the appropriations bill, the agreement on spending plans for the government, leading to the closing of public agencies and services considered non-essential. This shutdown was the first since 2013, which lasted for 16 days, and resulted from a Republican effort to stop or postpone Obama’s Patient Protection and Affordable Care Act as part of a deal to reopen the government. However, not since the Carter Administration has such a budget impasse occurred with both the Senate, the House of Representatives, and the White House controlled by the same political party, and it is the first time that federal employees are being furloughed under such circumstances. 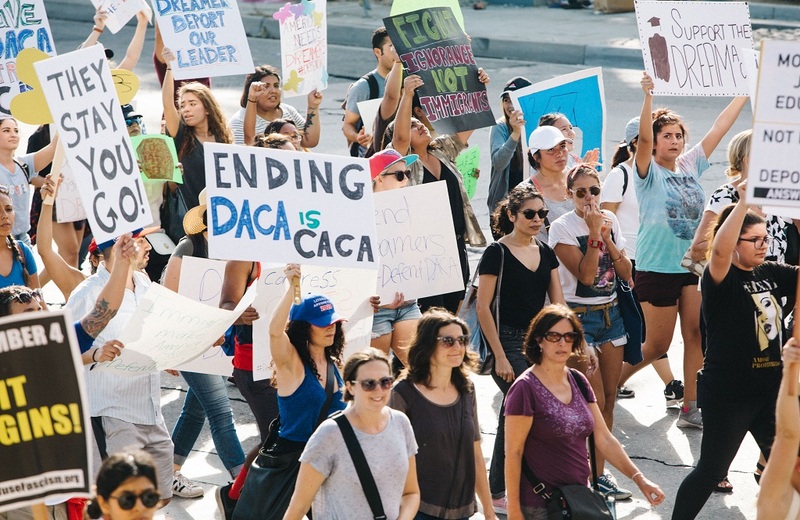 At the core of bipartisan disagreements is an emigration policy entitled Deferred Action for Childhood Arrivals (DACA), established by the Obama Administration in 2012 to grant illegal immigrants, for a period of two years, protection from deportation, and eligibility for a work permit. The bill was rescinded by Donald Trump back in September, with the program set to expire in March, 2018. As such, the Democrats insisted that the approval of any spending bill would be conditional on measures to prevent the deportation of hundreds of thousands ‘dreamers’, the immigrants who came to the U.S. as children and are protected by the abovementioned policy. Trump’s standing on this issue has been particularly inconsistent, and his comments on immigrants from Haiti, El Salvador, and African nations the previous week, which reverberated powerfully worldwide, have made it difficult for the Democrats to negotiate with the President on immigration. The republicans held their ground, the Democrats conceded, and a short-term solution was found. The popular Children’s Health Insurance Program (CHIP), a strong, but insufficient Republican bargaining chip before the shutdown, has been granted funding for six years, and the government shutdown is temporarily over. However, no agreement was reached on DACA. The Democrats have lent the indispensable votes for the stopgap bill, and in return Senate Majority Leader Mitch McConnell offered assurances that legislation to protect dreamers from deportation will be brought to the floor, lest a new deal is reached by then. Donald Trump, who remained generally on the sidelines during the negotiations, has expressed his satisfaction over the fact that the Democrats had “come to their senses”, but in true, there is still significant risk of a new government shutdown in a near future, as both parties are still far from an agreement on the immigration program. In addition, other problematic areas, such as military spending, disaster relief, and healthcare are still bound to complicate negotiations. Despite claiming that they did not cave, it would appear that the Democrats compromised more than their counterparts, as CHIP already had bipartisan support. On the other hand, the Republican promise of an open debate on DACA is more than the Democrats had before. It was also interesting to note that, with one sole exception (Jon Tester from Montana) Senate Democrats up for re-election in 2018 in states where Donald Trump won all voted to pass the new spending bill, fearing that the shutdown could hurt their polling numbers.